Obtain the best professional driving courses with LGV/HGV training, PCV training and driver CPC training from Dhoot Driving School in Clapham, London. We all must be extremely responsible while driving a vehicle on the road since it can result in the safety of people on the road. The attitude while driving a vehicle is what might have a serious impact on the lives of other people also present on the road, whether it is the social, protection, or just pure safety reasons. This is the reason why, it is always important to learn driving well along with the traffic rules in a proper manner from a good and a reputed institute. And when it is the reputation of the institute in concern, there can be nothing better than Dhoot Driving School in Clapham, London. When you join us at Dhoot Driving School in Clapham, London, you can avail certain great benefits. For instance, the training programs that we have designed are tailor made just for you and will certainly help you in enhancing your overall confidence about hitting the road. You will not only learn the practical aspects of training but would also learn about the safe and secured form of driving that will make you a responsible driver. All our training courses are designed keeping in mind both the factors of theoretical and practical aspects of driving training. Besides, if you are an already experienced driver, you can also avail the refresher training courses that are the new addition to our already existing quality driving training programs like the LGV/HGV training, PCV training and also the driver CPC training. One of the most popular reasons why you should choose us for your professional driving training is that we offer all the course materials, class room coaching, and also the theory books in several different languages apart from English. Thus even if you are not well versed with English and would want to prefer some other language, you do have the choice in this regard at Dhoot Driving School in Clapham, London. The trainers associated with us are also registered with and approved by the driving standards agency and they are also experts in multiple languages. 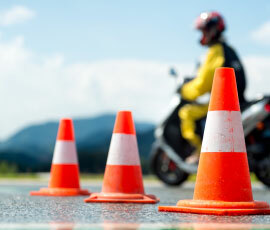 Thus when you do enroll with us, you are in the right hands for the best available driving training program in London. The vehicles that we use for the purpose of training are also fully equipped with the latest features like dual access control and it is such that there is absolutely no chance for any kind of mishaps or road accidents while the process of training is on the way. Apart from the above mentioned factors, there are also some great benefits of joining us; we offer some very special services to meet the requirements of our esteemed clients. We have the services like the pass protection and the PCV pass protection which are useful when you want to reappear for the driving test in case your first attempt at the test failed. You can also avail a refund of your money if you are not satisfied with the training program and wish to change in the mid way. 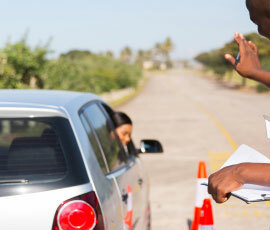 We also offer complete assistance and guidance when it comes to the applying of the valid license. Certain documents that must be sent along with the application like the D2 and the D4 forms need help while being filled and you can avail the assistance from us. We also send the completed forms to the concerned department of DVLA on your behalf. LGV/HGV training: This training is for the large goods vehicle and the heavy goods vehicle. Depending on the specifications of the weight, you can choose the categories of training from C1 + E-7.5t + trailer, C1 + E license, C upto thirty two tons license, C + E truck and trailer etc. PCV training: This training is meant for the passenger carrying vehicles and depends on the number of passengers on board of the vehicle. Some of the category of training in this section include the D+E, D1+E, D automatic bus license, D1 minibus license, D1+E minibus and trailer license, D manual coach license of which the D automatic bus and the D1 minibus are meant for the manually operated vehicles only. Driver CPC training: this program is now deemed as a mandatory course for all the LGV and the HGV drivers. This rule has come into effect since 2009. For this training certification, you have to undergo an extensive training for 35 hours within every 5 years. You can avail the help from different driver CPC modules and the driver CPC case studies in this regard. For the initial qualification though, you can take the driver CPC theory tests with the help of the driver CPC modules 4 and 2. For more details, kindly visit us at Dhoot Driving School in Clapham, London.